The first album by the virtuoso technical death metal Obliveon, From This Day Forward, is a highly recommended release. Intricate and sophisticated guitar riffs along with clear, bright, shining bass grooving lines that are not just the echo of the guitars really catches my attention. The whole album is evocative, setting the epitome for technical bands today. Which brings me to the following considerations. 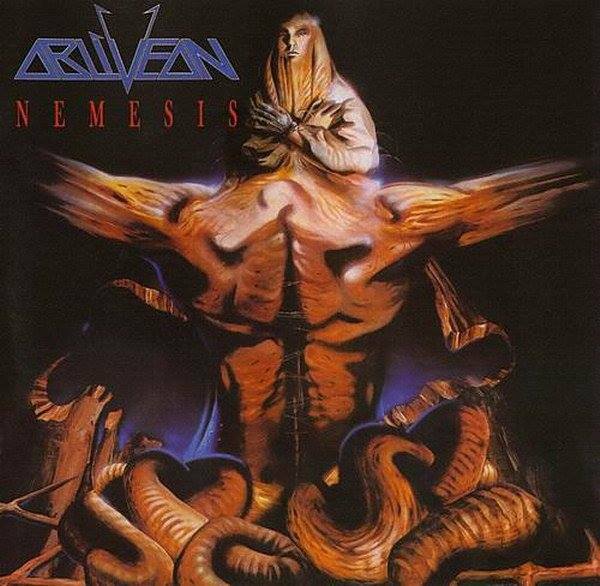 I turned down the second album, Nemesis a few days ago merely because I couldn’t find what I liked when it came to Obliveon: interesting bass lines that are composed in a way in which it is obviously competing for center stage with the two guitars. All without being too boasting, or too technically-oriented for the sake of showing off. This is the reason why I love From This Day Forward. With disappointment and bewilderment, I judged Nemesis as an album of low quality song-writing. But after I went through the whole album again, I realized this conclusion was just naive and ridiculous. We can’t just say Nemesis lost the spirit and the original intention of the band, but more specifically that they worked on a different dimension to explore how the sound of Obliveon could go on. You can hear more complicated and fantastic guitar riffs which are connected tightly together in the way of unprecedented reach. Of course, undoubtedly, the bass parts in Nemesis are not as catchy and flexible as before, ending up being the echo of the guitars. This apparently unreasonable (I assumed they would carry this character on forever) change even made me check whether the line-up was preserved between the two albums. But by appreciating the more sophisticated guitars that make you catch your breath at every moment, this album succeeds in bringing an intense experience for technical death metal fans.. Unfortunately, their second album does not seem to bring the same feeling of overall fulfillment as From This Day Forward. Maybe I did not explore or experience the album thoroughly, failing to catch what Nemesis is supposed to deliver as a whole. I listened to “From This Day Forward” after “Nemesis” (and writing that makes me wish I could italicize my comments), and while I often find the greater rhythmic prowess of the latter tilting the balance between the two in its favor, the first album does seem to have an overall better sense of melody. From This Day Forward is an unsung classic of early technical death metal. Not sure what happened in between that album and Nemesis. The latter seems to suffer from what commonly brought down the more extreme speed metal bands: the actual notes in the riffs are inconsequential and serve only to propel the rhythm. Nonetheless, I’ll give Nemesis another shot.